The arrival of 2016 brought an announcement of two major products from Nikon; one that had already been teased (the widely anticipated D5, in a brief press release in November 2015), and one which had caught the Internet rumour and forum communities by surprise (the D500). It is refreshing to see in this day and age of leaks and conjecture that Nikon could still keep something under wraps, and in some ways it is interesting that they left out the D500 from their teaser in November. Although it might have been so secret that Nikon forgot to tell all their own subsidiaries (the Nikon UK site and media pages had no mention of the D500 20 hours after the official release announcements). It’s early days yet but here are some quick thoughts on both cameras. Which is excellent news. As a D4 user I am a big fan of the format (slightly less big fan of Sony’s build quality). The format is a decent size, decent form factor, with no pins to get bent. It’s smaller than CF, less easy to lose than SD, and theoretically anyway more robust than the flimsy SD. It’s expensive, certainly, but the price will come down as more and more cameras adopt the card and economies of scale kick in for the manufacturers. Most importantly, it’s also fast. UHS I clocks in at up to about 95MB/s, UHS II (which still has very limited support from camera manufacturers) hits about 300MB/s, and XQD is currently hitting 440MB/s. Put another way, the buffer in the D500 tops out at 79 frames if you use SD cards. It hits 200 frames if you use the XQD slot. On the D5, two similar slots means you can keep your peripherals streamlined as well. The current 51 point system in its various guises dates back to the D3/D300 pair back in late 2007. Although it’s been tweaked and improved in small ways, the new CAM 20K sensor is the first big shift in AF technology for Nikon in nearly eight years. Sensitivity to lower light levels (-4EV), more cross sensors (99), and more viewfinder coverage are all plus points, but ultimately it needs to be better at tracking subjects. Time will tell. With the new SB5000, both cameras can use radio signals to trigger the flash. Very welcome indeed, as the old infrared communication method was very limiting, requiring line of sight and with poor basic range, and virtually unusable in the sunshine. Definitely handy for those of us who shoot video, and a total lack of interest for those of us that don’t. And unlike certainly other broadcasting false dawns, it looks like 4K is here to stay. I haven’t seen a reference to whether we have got peak focusing in the new cameras yet, but I really hope they do find some way to introduce that. At some point it would be nice to get secondary phase detect sensors on the sensor as well to aid video AF for when it’s needed; Nikon already do it very capably on the 1 series cameras. Also, there are enforced crops when using 4K; 1.5x on the D5, and 2.2x on the D500. Which potentially compromises what you can do with the cameras. Ultimately like the new AF system, time will reveal how good the sensor is, with particular interest in the high ISO performance and the dynamic range. I would certainly hope that Nikon have managed to improve ISO performance, because I wasn’t so enamoured about the D3s to D4 jump, and I still prefer the D3s in low light over the D4. I’ve covered the two sensors separately because there are different things to deal with. The D500 sensor doesn’t have the same “designed by Nikon” claim that was made of the D5 sensor, which means that the performance of both sensors will not necessarily be similar (aside from the size differences of course). The thing that has me most bemused about the D500 is the 20 megapixel sensor. Nikon has a raft of 24mp DX sensors in their current cameras, from a range of manufacturers. And they are all very competent, cutting edge sensors, with excellent dynamic range and ISO performance for their pixel densities. I’m not sure many would have complained had they used one of those sensors in the D500. It’s entirely possible the new 20mp sensor takes DX sensor performance to new levels altogether. I would even argue that it almost has to, to merit the 4mp drop in resolution. While 4mp is only 4mp, and 20mp is plenty for the vast majority of purposes, I would approach it from the other side of that coin. It’s only a 4mp increase. That statement needs a bit of explanation. Specifically, I am referring to the D800 series, which are already professional level cameras capable of doing a job as 16mp DX cameras. The D810 hits 8fps as well in that mode with the MB-D12 and the right batteries. Currently the D810 in DX crop is my go to camera for situations where I need reach; wildlife, the occasional type of sporting assignment. I have been waiting for a fully fledged professional level DX camera to replace the aged D300, and the expectation would be that it would possess at least the pixel density of the D7200. The D500 as it stands, doesn’t meet those requirements. So the question is where does the D500 stand for different groups of users? 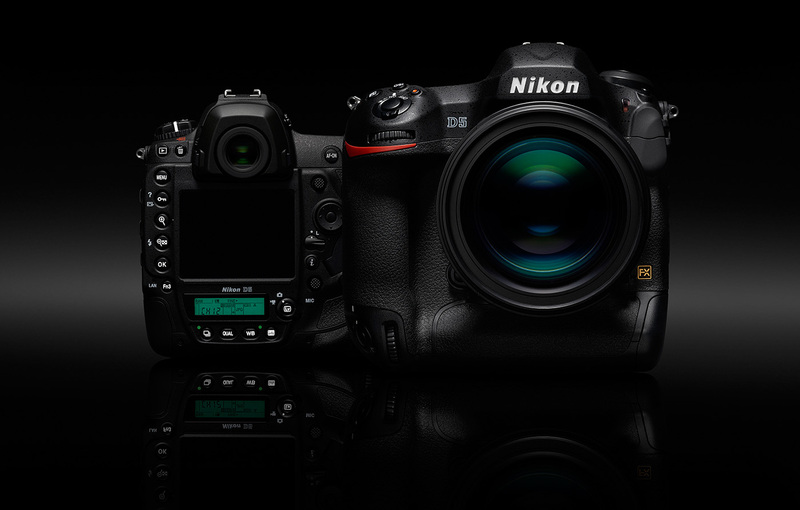 General purpose DX users who want professional performance – the D500 does tick the box. But how many of these are left, given it’s taken Nikon six years to update the D300s, and has also been steadily pushing people towards FX? The DX lineup of lenses is also not great for people who are looking for professional performance. What do you need in a D500 that a D750, or a second hand D800 series camera (for less money), doesn’t give you? Wildlife/sports photographers who value DX for pixel density – the D500 is subpar compared to the D7200 in terms of pixel density, and only a bit better than the D800 series under optimum conditions. Bear in mind that the D810 gives you the potential of the full 36mp in situations where you are able to get close enough to make use of it. That leaves the sensor quality and the new AF system, having to pick up a lot of the slack for a reason to purchase a D500. The D500 should have been a just-take-my-money camera. Somehow, it’s not. The sensor and AF performance could change things. The tilt screen itself is basically the same design implemented on the Nikon D750 — it articulates 180?